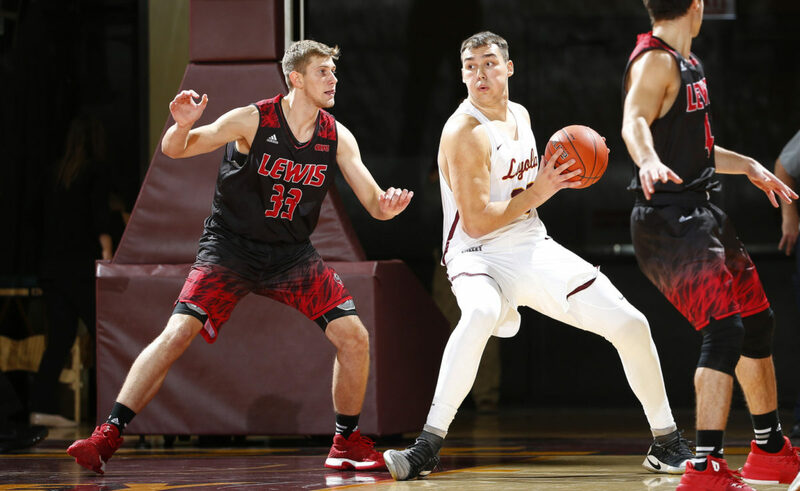 Steve Woltmann | Loyola Athletics First-year forward Cam Krutwig impressed in Loyola's 79-63 exhibition victory over Lewis University. The Loyola men’s basketball team took on Lewis University in an exhibition game at Gentile Arena Oct. 28. Led by senior forward and preseason All-MVC first team nominee Aundre Jackson’s 20 points, the Ramblers came out on top 79-63. While it was only an exhibition game against a Division II school, there were plenty of positives for the Ramblers. One noticeable change was that Jackson showed off a slimmer physique. Over the offseason, he said he lost 25 pounds, which allowed him to be more mobile in the paint. While his shooting wasn’t where it was last year — going nine of 16 from the field — he showed his mobility, which will be key down the stretch for the Ramblers. Another highlight was the emergence of first-year forward Cameron Krutwig. During his first game in a collegiate uniform, Krutwig flirted with a double-double, tallying nine points and pulling down 10 rebounds in just 18 minutes. When he didn’t have the ball, he was yelling instructions to other players, which isn’t typically seen from a first-year. Krutwig also lost weight over the offseason, and head coach Porter Moser said he expects the 6-foot-9 first-year to play a big role this season. 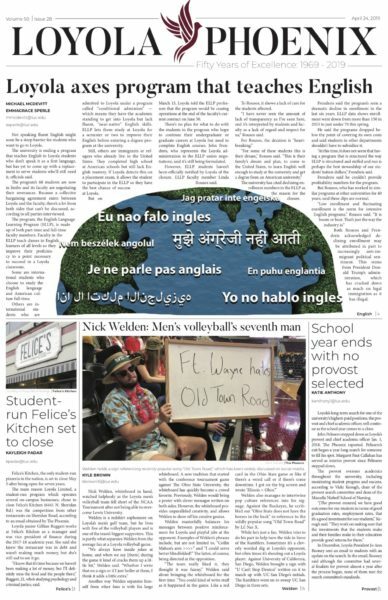 Redshirt junior guard Marques Townes — who sat out last season after transferring from Fairleigh Dickinson University — was also impactful in the game. Of his 15 points, eight came from the free throw line. Townes also had two blocks, which fired up the crowd of more than a thousand fans who came to Gentile Arena for the game. Moser gave him a start in his first game in a Loyola jersey, and he showed his potential to be a weapon for Loyola this season. One player who didn’t see any action, however, was first-year forward Christian Negron. Negron is recovering from an injured knee, and Moser said he’s still being evaluated on a week-to-week basis. While Negron is making progress, Moser wouldn’t say if Negron would be available for the home opener Nov. 10. While the offense was strong, the Ramblers struggled in one key area: defense. Lewis took nine more shots than Loyola, something Moser discussed in the postgame press conference, saying he was going to break down the film from the game and work with the team on putting more pressure on the opponent. The Ramblers are scheduled to tip off their season Nov. 10 at home against Wright State University.